Hi everyone. 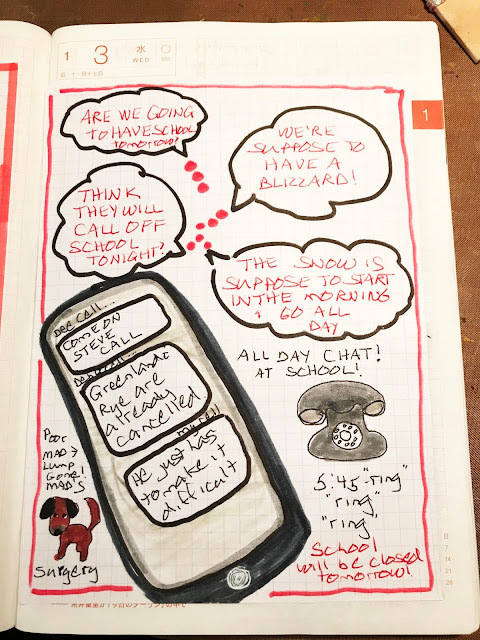 Today I have a few views from my new 2018 drawing journal to share. 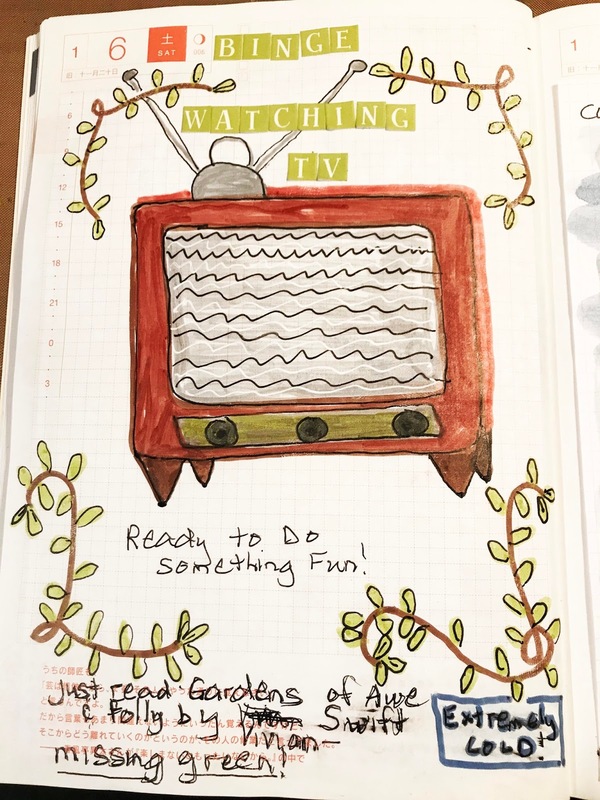 I decided since I got some confidence last year keeping a drawing journal, I needed to do another one this year. BUT, I have a new tool to use this year. The tool isn't particularly exciting, but to me the results are. It's my new fine line Uniball Vision Micro black pen which you can see in the first drawing. A fine line pen is something I have never really chose to use. Making thin lines rather than fat lines how changed the whole feel of my pages. So here's a few pages I've recently done. 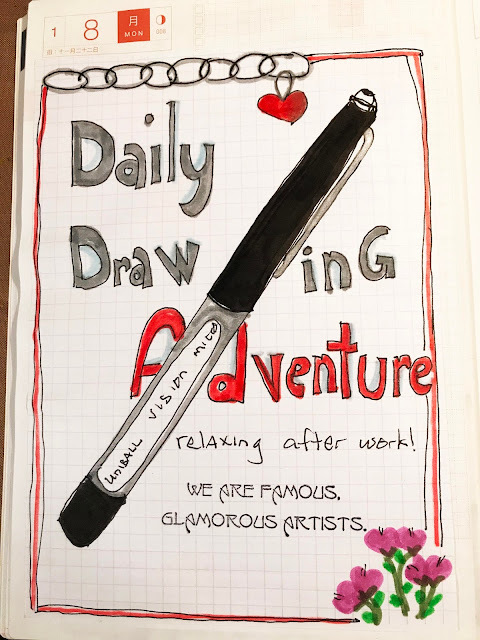 Since my drawing journal is part of my art adventure for 2018, I am linking up to Art Journal Journey and this month's theme of New Year:New Adventure. And with that I will close. Thanks for visiting my blog. I always appreciate it. The Uniball pen looks nice. Looks like it would have a nice balance and feel. I love your illustrations. You elevated ordinary parts of your day to extraordinary. Enjoy your day today. Your drawing pages are so much fun and a wonderful way to capture memories of everyday life! I am looking forward to more this year! Markers are so handy in many ways - this new supply sounds and looks good! Hope Maddie is o.k.?! Great you had your daughte at home! Happy start of the new week to you Erika! You are in an Adventure FLOW - AJJ is just HAPPY! We got some nice powdersnow last night - winter is here again. What a wonderful new pen. I think it is beautiful the way you drew it, too. Your drawing skills are phenomenal. Loved the Bomb Cyclone and the words and wishes school would close. Enjoyed seeing Maddie was through her surgery OK, too. 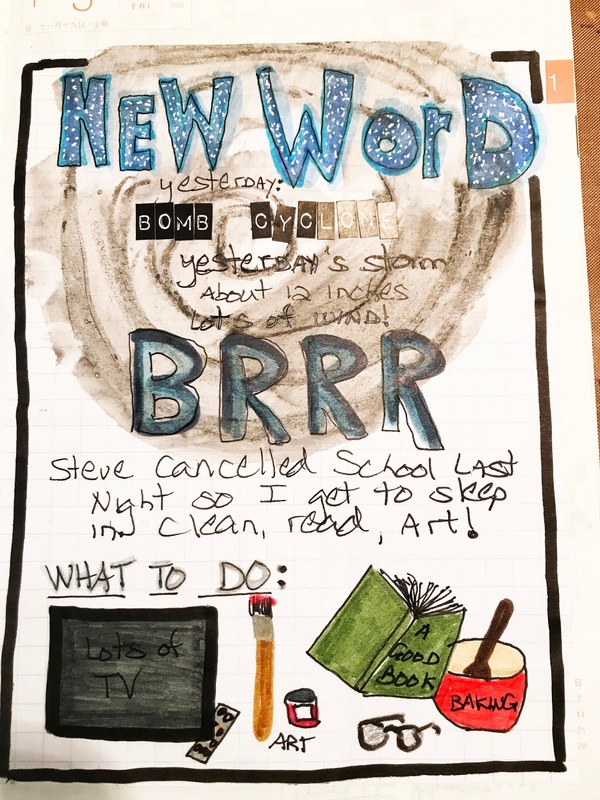 You are doing such a super job as our host at Art Journal Journey. We really appreciate all the wonderful posts you have created this month, and today, too. 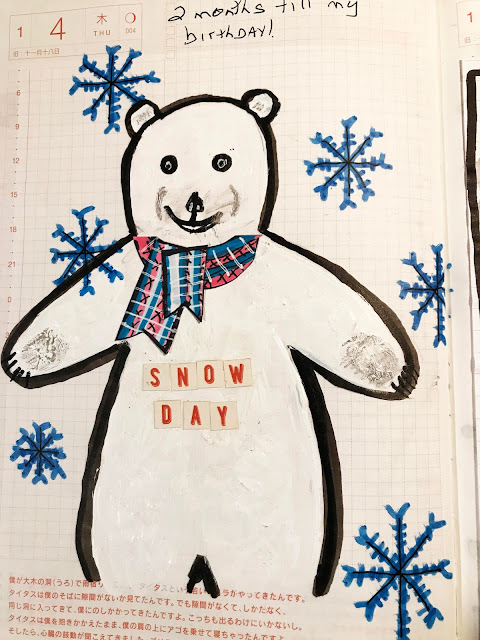 Your drawing journal pages look fantastic, each one has so much to look at. I also like the liner pens, but really need to replace my near used up one. These are all really fun! 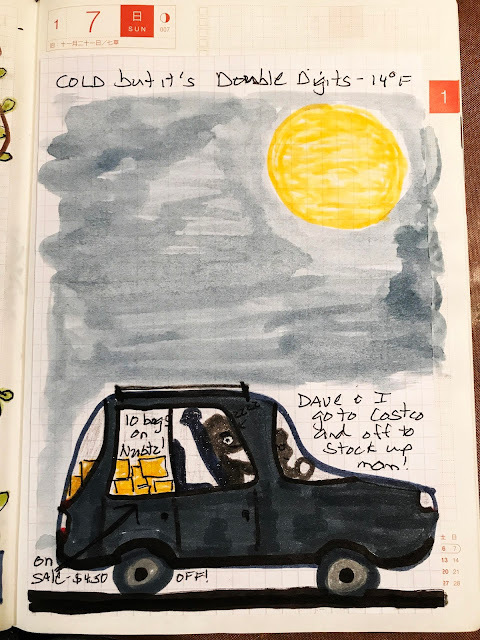 I love casual art pages like this with fun little sketches. Really cool! I see what you mean about the fine line. It gives a certain emphasis and I love the look and these pages!